e-waste can be a bigger issue in some time in future than we imagine it. We can’t expect that the demand for machines will ever decrease, it will increase only by the time passes. Now, it’s the time to seriously think about it. The electronics devices manufacturers & retailers must start thinking about an effective solution about e-waste management. Anytime, any day, I will go for export restrictions and the arrest and prosecution of people who illegally export e waste to Ghana. Several children are sick from the crude burning and dismantling of e waste that go on at e waste dumps at Agbogbloshie in Ghana. The bulk of the e waste we find at Agbogbloshie is from the United States, Germany, Holland UK and so on. 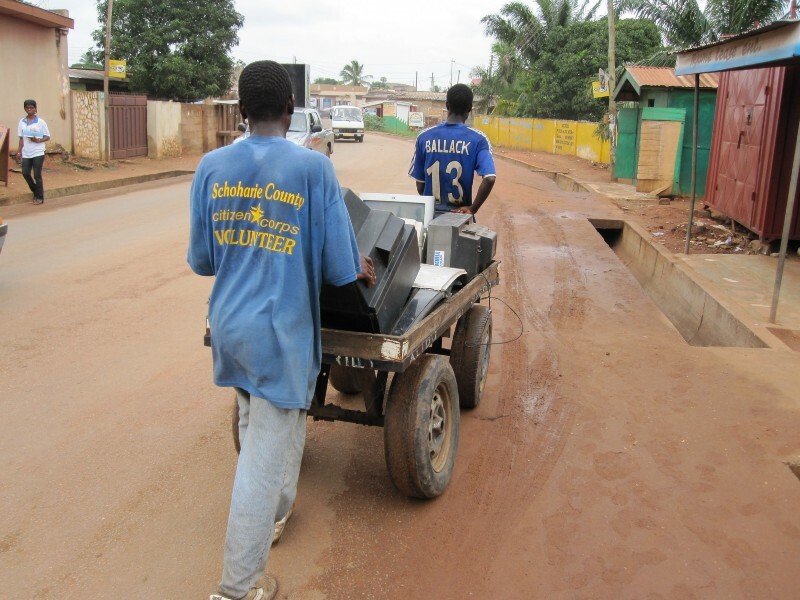 Lets ban the exports of these discarded and end of life computers televisions and others to Ghana. 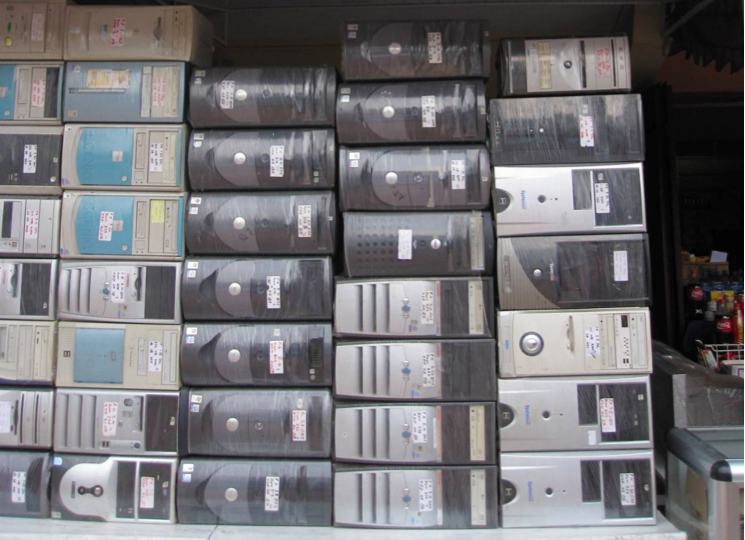 I live in Ghana and just go to the port of Tema and Takoradi and you will be shocked at the huge volumes of useless non working computers that are being sent to Ghana from the United states under the guise of reuse. I am curious about the bits and pieces not of value to the scrap dealers. No doubt a certain percentage of the components are of no value to the recyclers, which leaves a cheap and easy disposal option desired. My mind gravitates towards the kind of unwanted byproducts I imagine the scrap industry produces- broken bits of plastic and glass, melted wire sheath, etc. currently being disposed of in the open dump. Are there any efforts to create a sanitary landfill in response to the open dumping? If the industry is to continue sustainably in the eyes of those who want more regulations there must be some kind of effort made to control the waste byproducts of the scrap industry. A debate we often have is regarding when something should be re-used, and when it shouldn’t. A working computer is great, and you’d argue it is worth more than recycling it. But what if that computer can only work for 2 months. Is it then still worth sending it to Ghana? And once these re-used computers to break (which they will of course inevitably do), what happens then? EPR programmes are not even in place for new electronics being introduced into the market, let alone for second-hand electronics. Without good regulation on these goods, we are creating a problem of more waste in the future as well. I think this is a very important conversation to have…about what should and shouldn’t be reused. I do not see much effort to distinguish between the two in the public discussion in the US and Europe about the e-waste scourge in places like Ghana. I find Ghanaians well-equipped to describe this themselves and very insightful about it…see the individuals I profiled in this post. In Ghana the term “home used” referred to quality secondhand goods that had come from the US and Europe. The value of these devices had to do with the standards they were held to by regulation and consumer demand in Western countries with strict consumer-safety regulations. The alternate term in Twi “aburokyere bola” referred to ‘garbage from abroad.’ Ghanaians had a fine-tuned sensibility about what secondhand items were trash and what had value. What would make a computer die and be rendered totally unrepairable after 2 months of use? I can think of one clear explanation, a voltage spike the fries the motherboard. I would bet money that the secondhand computers we’re talking about here are more likely to survive that spike than any cheap, poor quality new computer that could be purchased at a similar price point. There’s a value in reusing secondhand computers that goes beyond turning one man’s ‘waste’ onto another’s treasure. Those secondhand machines have a durability that cheap new computers sold at a similar price simply do not (see above about standards and consumer protections borrowed in the West). I find little understanding about the rich ecosystem of import, refurbishment, reuse, and disposal that I’ve described here informs the policy debates and the relevant regulations being enacted in Western countries. As I noted in my post, the focus needs to be first and foremost on handling the waste that is in Ghana because that stems from the genuine demand for and use of computers in Ghana. That demand will only shift to new supply streams (the cheap poor quality new computers), I strongly suspect it will not go away with US or European regulations and restrictions. Please let me know if there are other concerns I can further illuminate. The World Bank referred to these used devices as essential to the “critical mass of users”, after studying the role of used radios in developing radio stations, used TVs in developing African TV stations, used computers in developing internet cable, used cell phones in financing cell phone towers, used cars in developing highways, etc. Its extremely rare that a country succeeds in building things and relying on consumers to purchase brand new ones. Certainly Eastern Europe benefitted from used appliances (post iron curtain), and certainly the Ozarks and Appalachia imported used goods from “rich” cities like New York and Chicago. 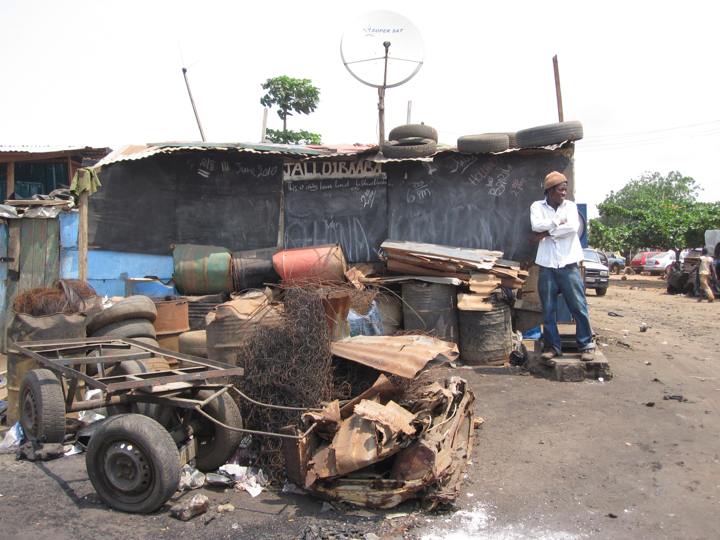 The photographic evidence by BAN of piles of junk TVs in Ghana and Nigeria are explained by the number of households with TVs in those countries, available in World Bank and IMF data, numbering in the multi-millions 20 years ago. Who came up with the assumption the junk was recently imported? The NGO making the diagnosis sells the cure. Yes, the used goods eventually break and become waste, and the junkyards do tend to be located where the land value is lower and where the used device finally expires. But Reinhardt Smit offers no remedy to this. Brand New Devices also will become waste (African technicians say that “solid state” electronics from the 1990s actually last longer in African brownouts and power surges). And the devices which are shredded rather than reused are very often resorted by hand in China (http://www.theatlantic.com/technology/archive/2011/03/the-metal-sorters-of-shanghai/71932/). There is no solution for African consumers, and no solution to EU/USA recyclers who export a portion of the shredded material – a portion, ironically equivalent to the percentage of devices Africans are willing to purchase for export. If you have 1000 tonnes of devices, Africans will buy 150 tonnes of them. If you shred 1000 tonnes of devices, Chinese metal sorters have to manage 150 tonnes as ZORBA or similar shredded residue. The burden of proof in the Joe Benson case was misapplied. He had no incentive to buy waste, no incentive to ship it and pay customs on it, and proved he regularly had second thoughts and returned devices to UK recyclers for free. Benson is doing what Terry Gou did in Taiwan and Lee Byung-chul did in South Korea… JVC stands for “Japan Victrola Corp”, it was a Japanese importer of used goods and scrap metal which reassembled Victrola radio players from RCA’s Camden NJ scrapyard, refurbished them and became a vendor. Thanks Jenna for helping us to more closely examine this “environmental malpractice”. And Mr. Smit, with all due respect, check your privilege. As Jenna correctly notes, the exporters to Africa were found (Lindemiller, Emile 2009 Interpol Report) to be expatriot Africans like Joe Benson. Africans buy the material, choose it, reject most of it, and pay to ship it. Great points Robin, and interesting references too. Don’t get me wrong, I am not against the import of used products. On the contrary, I actually think there is a big market for used products in places like Africa. You mention that new products also become waste, and this is very true. We have noticed in our business in Africa that there is a huge demand for used products from Europe rather than new products from China, due to the quality difference. As such we are even partly active in this market. The questions I asked are simply to make us think, and to challenge assumptions. The right discussion on these matters, especially if done together with local communities and private companies in these markets is the only way there can be progress on legislation and regulation. Right now the lack of regulation (or lack of enforcement) is creating an issue locally. It doesn’t matter how you frame it, or which statistics you use, this is still the case. On the flip-side, regulation in the western world should change as well. The WEEE Directive in Europe is seriously outdated, and though parts of these regulations are to “protect” these emerging markets from waste dumping, they also deter legitimate businesses that try to export second hand goods legally. An example of where this goes wrong is something that we have noticed in our own business. By my calculations, if I send broken (unrepairable) motherboards to Nigeria, I can get a higher price for these (end-of-life) products locally, than I can get from one of the world’s best recyclers here in Europe. This is including the logistical costs. My only hurdle would be the permitting and taxing issues, and I’ve personally witnessed people getting around that. So since the opportunity is there, we know it’s also happening. This is practice that needs to stop, and questioning current practices and questioning outdated regulations will help with that. There’s a difference between equipment reuse and general electronics waste. The problem of 3 million tons of ewaste from US alone is not the computers and gadgets that works and can be reused by others, it’s all the stuff that gets dumped or hand recycled that’s the problem. The point of this blog post is precisely to draw the distinction between equipment reuse and e-waste. The problem is that productive reuse in places like Ghana is being wholly ignored in this campaign. That technically-capable West Africans who are part of import and refurbishment businesses are shut out of the conversation (and in some cases thrown in jail). That e-waste problems will persist in Ghana and require not export restrictions but significant in-country intervention. For example, ways of supporting scrap metal collectors in Agbogbloshie so they can work safely and protect their health will address the problem in a way export restrictions never will. 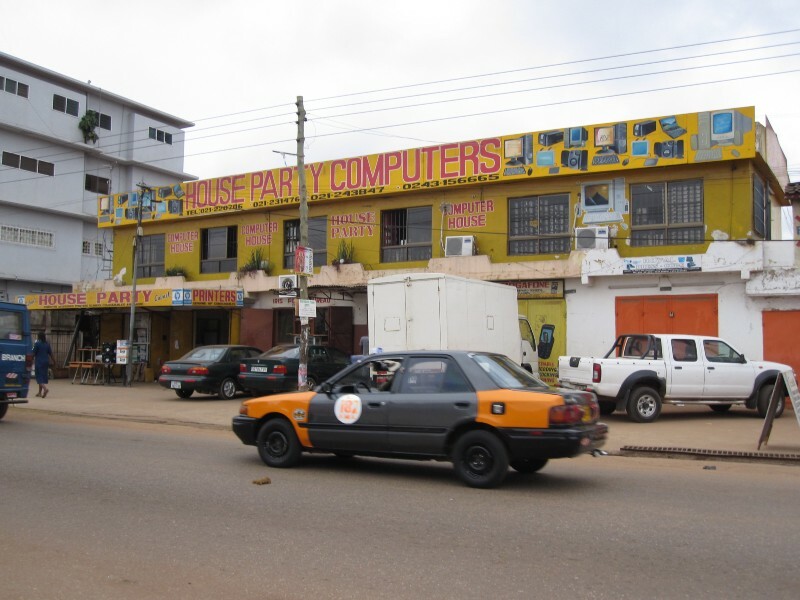 The demand among Ghanaians for electronics is not going away anytime soon and all of that equipment will eventually break and have to be handled as scrap and as waste. I hope you will read this blog post again and see how what I’ve shown might be incorporated usefully into the consulting work you do. Thank you for reading and considering. nice post Jenna Burrell can you expain me this line what is valuable, and what is truly waste. And the full set of issues at stake in this import process are much broader than this issue of waste handling alone. There are benefits to local technical skill development of these computer imports.